A Dream Vacation Rental at the Royal Mayan Timeshare Resort in Cancun, Mexico. Royal Mayan Villa for Rent! 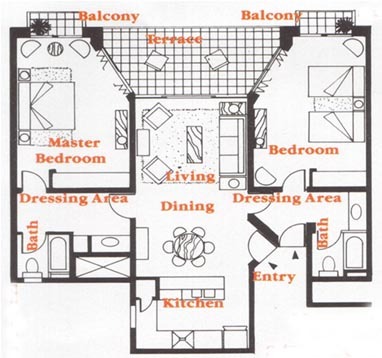 At left is a floor plan of your Royal accommodations. 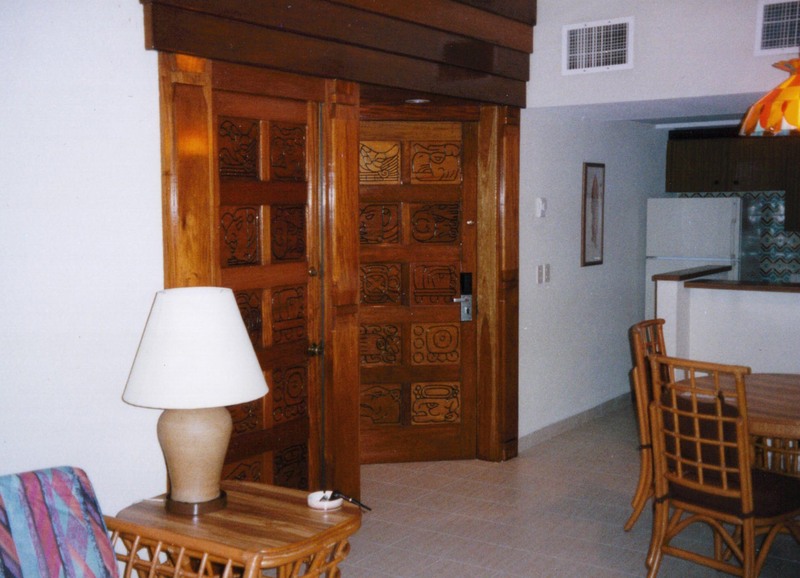 At right is a view of the livingroom showing the beautifully carved doors. 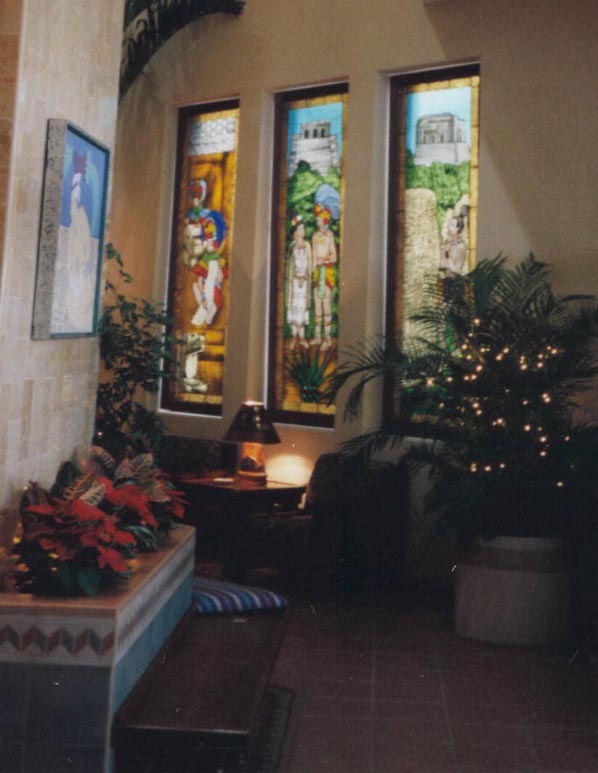 Learn more about the Royal Mayan at their own site. Never been to Cancun? For a few of the reasons we love to go visit our Royal Experience page. 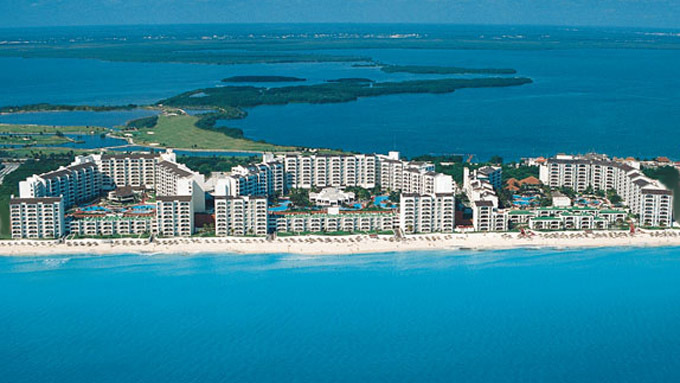 And to plan the perfect visit to Cancun see our Trip Tips page. Ready to book? See our Rental Listings and Timeshare Sales. Or to ask a specific question send an email to Tony.